New formula that is super lightweight. 230 degrees heat protection, versatile uses (wet or dry). Reduces the appearance of split ends. 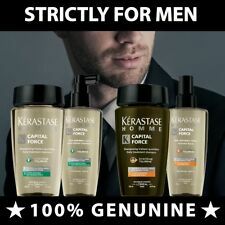 Instantly, hair surface is smoothed while hair fiber is strengthened from within. Hair is left shine with a perfect glazed-like finish. Adds visible long-lasting shine and smoothness. Kerastase Reflection Shampoo is suitable for all types, but has been specifically formulated to help coloured hair retain its colour intensity. It will leave hair clean and silky smooth, as well as providing hair with protection against heated styling appliances. The rich formula of this mask has been specially formulated reconstruct hair that is in need of a little TLC to leave your locks smooth and soft. Also working to reflect light and boost shine, this new and improved formula is a must have for salon perfect locks. 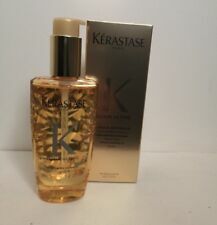 BRAND NEW L'OREAL KÉRASTASE NUTRITIVE MASQUINTENSE 200ML. Formulated with glucose, proteins and lipids, Kérastase Masquintense Cheveux Fins will leave your fine, very dry hair soft to the touch, supple and light. 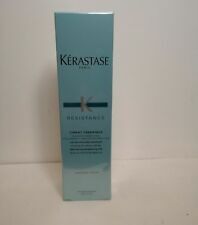 KERASTASE CHRONOLOGISTE REVITALIZING SHAMPOO 80ML. Condition is New. Dispatched with Royal Mail 1st Class. It works to rebuild your hair’s internal strength and leaves it full of body, vitality and shine whilst feeling incredibly soft. Hair will feel full of strength and body and is left beautifully soft and shiny. 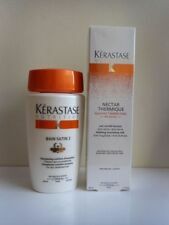 Kérastase Resistance Therapiste Masque 200ml. Condition is used twice. RRP £32.99. Dispatched with Royal Mail 2nd Class. 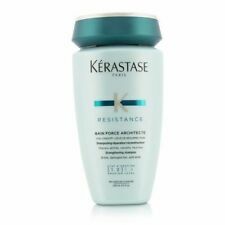 Kerastase Bain Force Architect shampoo for colour treated hair. The Bain Anti-Pelliculaire removes dandruff flakes and leaves the scalp feeling soothed. 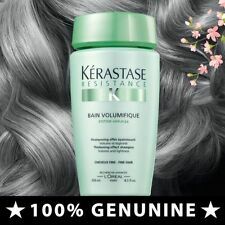 Kérastase shampoo Reflection Bain Chromatique Riche is a multi-protecting shampoo for all coloured hair. Kérastase Nutritive Masquintense is an intensely nourishing hair masque specially formulated to treat thick, dry hair. Kérastase Bain Satin 2 is a complete enriched nutrition hair bath for dry, sensitised hair. Kerastase Discipline KERATINE THERMIQUE is a taming blow-dry milk designed to protect unruly hair from aggressions of blow-drying for a smoother finish that’s easier to style. The smoothing milk instantly softens the hair fibre with double anti-frizz and anti-humidity protection for fluid, light movement. LOREAL Branded Salon Mirror - Hand Held - Very Rare!! Regenerate lack lustre locks withKérastase Chronologiste Revitalizing Bain Shampoo, a concentrated care formula that combines vitamins A and E to cleanse and revitalise hair from top to bottom. Expect revitalised hair that looks and feels healthy and strong. BRAND NEW L'OREAL KÉRASTASE LAIT VITAL CONDITIONER 200ML. This luxurious hair treat will nourish and enrich your hair without weighing it down to leave it feeling soft, supple and super shiny. Formulated with glucose, proteins and lipids, Kérastase Lait Vital provides complete gluco-active nutrition to your normal to slightly dry hair. Kerastase Discipline Bain Fluidealiste Sulfate Free Shampoo and Conditioner Set. both items used once - other wise in new condition Dispatched with Royal Mail 2nd Class. 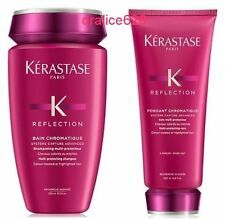 Kerastase Reflection fondant chromatique conditioner 200ml For colour treated or highlighted hair. Kerastase Blond Absolu Cicaflash fondant conditioner is designed to nourish and hydrate lightened, highlighted hair with the strength of a masque and the lightness of a conditioner. 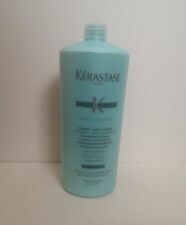 Kerastase Discipline Keratine Thermique Smoothing Taming Milk 150ml Treatments. Condition is New. Dispatched with Royal Mail 2nd Class. Kerastase Nutritive Creme Magistrale Nutrition Balm 150ml . Leave in treatment for dry hair. Condition is Brand New. Dispatched with Royal Mail 1st Class. Providing protection against heated styling, hair is left looking and feeling smooth and frizz-free. Complete anti-frizz care leave-in for unruly hair. 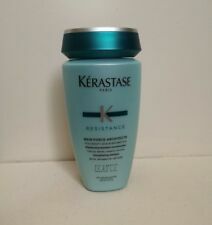 kerastase Elixar Vital 100ml. Treatment to be rinsed out . New unwrapped. 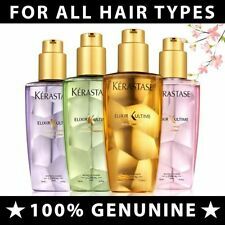 BRAND NEW L'OREAL KÉRASTASE BLOND ABSOLU BAIN ULTRA VIOLET SHAMPOO 1000ML. Bain Ultra Violet is a purple shampoo designed to remove and neutralise brassy yellow tones in blonde or grey hair. Formulated with Hyaluronic Acid and Edelweiss. Masque Chromatique is a protecting masque for fine sensitized color-treated or highlighted hair.